A Zambian Watchdog Roving reporter toured Katuba constituency in Chibombo district, Central province to be acquainted in view of the February, 25th parliamentary by election and learnt that vote canvassing by aspiring candidates has already started. The seat fell vacant following the death of former health deputy minister and MMD parliamentarian Dr. Patrick Chikusu who was suspected to have been poisoned by unknown agents. 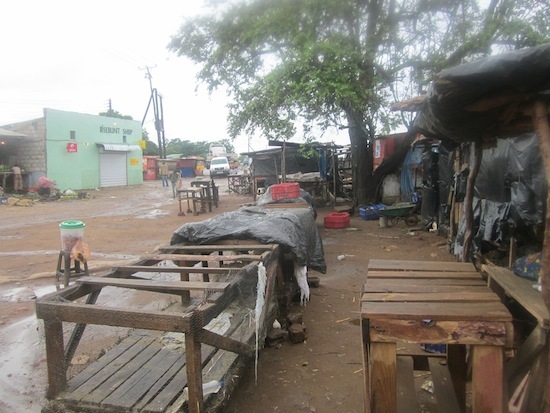 We will publish the findings in the consecutive articles but in the meantime we highlight the deteriorated standards of life in this constituency geographically nearest to Lusaka along the great north road. We checked on health, education, agriculture, roads and infrastructure development and hope the PF will not accuse us of decampaigning whoever they shall adopt. While in Katuba, we learnt that government has totally neglected the main road, which also leads to Chief Mungule’s palace and Mungule health centre, abandoned a market project that was started by the MMD and many more other things. Our journey of 40 kilometres took us two hours due to the RIVERS and DITCHES on the road, Katuba people say the road will be a campaign issue.